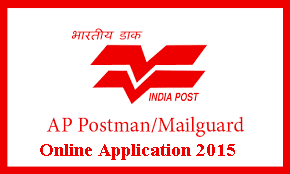 AP Postal Circle has provided AP TS Postman /Mail Guard 2015 Online Application – Exam Date – Where Apply Online for Postman / Mail Gaurd test online. AP Postal Circle has provided AP TS Postman / Mail Guard 2015 Online Application – Exam Date – Where Apply Online for Postman / Mail Gaurd test online. Special Class Railway Apprentice is a programme of 4 years for mechanical students, who want to make career in the indian railways. This exam is conducted by the Union Public Service Commission (UPSC). Selection process for SCRA 2015 is in 2 stages, 1st written test and 2nd and final step is UPSC SCRA Interview/ Personality Test. Before applying online the candidate has to keep all the relevant documents ready for entering the data as per the certificates (like DOB Proof, Certificate of caste, Ex Service man ,PH Certificate etc). The Candidate has to keep ready the soft copies of his/her recent passport size photograph in JPG format(size not to exceed 20 KB). The Candidate has to keep ready a soft copy of his/her signature made on a piece of paper with black ink in JPG format. (size not to exceed 10 KB). The Candidate has to update all the mandatory fields and confirm the declaration. The Candidate has to look at preview for verification and correctness of data fed before submitting his/her application. The Candidate has to submit the application by clicking "Save" button. Since preview option is provided before saving the application no correspondence will be entertained for modifying the application. The Candidate can take the print out of the application and keep for further correspondence. They should not submit the print out of their applications. Provision has been made to the candidates to know the status of application submitted through a grievance provision which is available in the website www.appost.in. For applying, the candidate has to browse the website www.appost.in and should read the instructions and notification thoroughly. The Code Numbers for selecting the Division are given in below. RMS V Division Visakhapatnam ( 50 ). No applications purchased from outside vendors will be accepted and no applications need to be sent by Post only the applications registered online in www.appost.in website only will be accepted. In respect of candidates who apply manually, no correspondence will he entertained and no Hall permit will he issued to all such candidates even if they pay the prescribed fees by any mode.